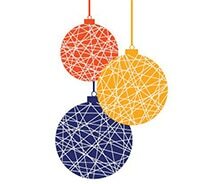 From everyone at Farber, we wish you and yours a joyous holiday season. Our sincere thanks for your continued support and partnership throughout 2018. This past year has been all about building and collaboration—we can’t wait to share the exciting initiatives we have in store for 2019. As you may know, Farber was founded in 1979 so, if our math is correct, there’s a major milestone right around the corner…stay tuned.